Photo of: East Coast of Ireland: Dublin: St Stephen's Green. 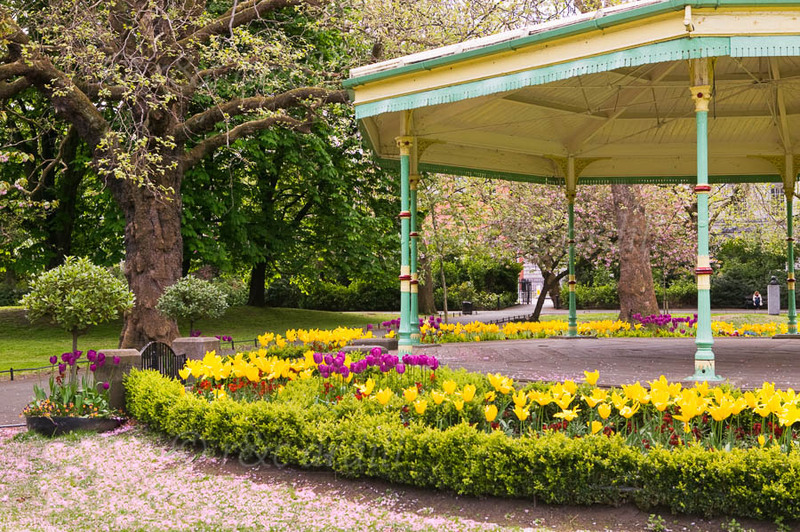 A view of the bandstand in St Stephen's Green in early summer with flowering cherry blossoms on the ground. A fine statue of James Joyce can just be seen at the far right of the picture.